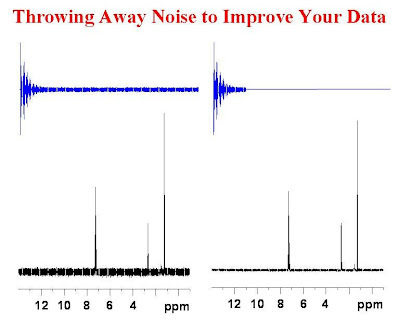 It is no surprise that the Fourier transform of noise is noise, so getting rid of noise in you FID will get rid of it from your spectrum as well. If your FID decays long before the acquisition time is over then you have collected unnecessary noise and your spectrum will have a lower than necessary signal-to-noise ratio. You can throw away the noise and replace it with null points before carrying out the Fourier transform. This is shown in the figure below where the improvement in the signal-to-noise ratio is obvious. 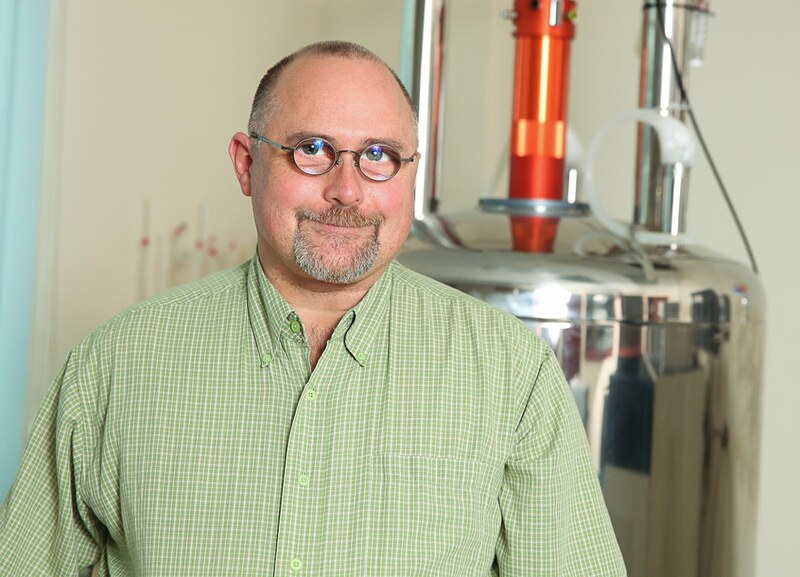 A better idea is to save spectrometer time, make the acquisition time shorter and avoid collecting the noise in the first place. Does this rule of thumb also hold for FT-IR? I guess yes. What do you think? Thank you for your question. Indeed, throwing away noise in a signal prior to Fourier transformation is generally applicable to any type of Fourier spectroscopy to obtain data with a better signal-to-noise ratio. First of all: thank you for this fantastic blog. I have learned a lot from it. Regarding your post about throwing away noise before FT: how can you do this in Bruker TopSpin? Which parameter needs to be changed before executing [efp]? When you collect an FID with "TD" number of points, you can reduce the number of points Fourier transformed with the effective time domain parameter, "TDEFF" and then zero fill with the "SI" parameter. For example if you collect and FID with TD=32K points and then set "TDEFF" to 16K points you ignore the last 16K points of the FID during the Fourier transform. You can set "SI" to what ever zero filling you require.